Capcom has brought together the best of Street Fighter and Tekken best and created Street Fighter X Tekken Mobile for iPad . A game designed exclusively for tablets where you pull your inner fighting, choosing the fighters you want each of the games. One of the best features of Street Fighter X Tekken Mobile is the ability to fight in 2 vs 2 mode, you can choose two characters and swap in a death struggle whenever you want during combat. Also will fight in a very elaborate scenarios and characters have that classic look but with a new digitization full of details to fighters. 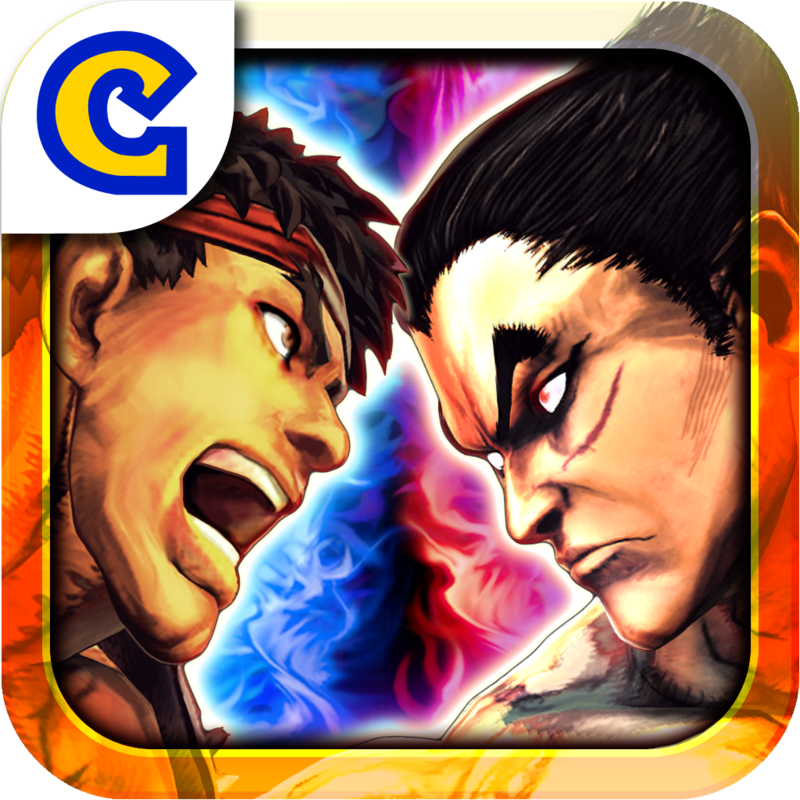 Street Fighter X Tekken Mobile for iPad is fully optimized for the Retina Display screen of your new iPad with its new 3D graphics You'll get the most from your tablet. Also the game is created especially for iOS so the management is also specially designed characters. In this great game for iPad you can customize the controls, the position of the buttons and the transparency with which they appear, including the joystick. You can also choose whether to display the complete wheel movements or otherwise hide. Addition you have a list of commands so you can learn the best moves of each character. This time Capcom has introduced a new concept in overcoming the skills of your character. Each special attack you make serve to activate the system Roulette Gems and randomly select an enhancer for your character within the Pandora's Box of your choice: Immense Power, and Speed ​​Supreme Defensive Shield. In Street Fighter X Tekken Mobile you can choose to play alone or in multiplayer mode. Choose your opponent and enjoy great battles via Bluetooth or Wi-Fi, expanding the possibilities of struggle for the entire network. You also have the possibility to play alone in the training mode where you can test the shock you will use in your battles. Street Fighter X Tekken Mobile is the best you can find in fighting games on iPad. Play with the characters of the two games is great and enjoy remembering the best moves of each. The game interface is great and the characters move fluently easily from the joystick, not cost you anything to redo that Ken or Ryu hadouken. Also enjoy the Tekken characters and fantastic special moves, with which to defeat your opponent will be 'no brainer'. We were also very surprised how easy and fast you change your fighter in 2 vs. 2 mode even coordinate to attack your opponent. Street Fighter X Tekken Mobile for iPad, be sure to try it.